Gainesville dentistry at its best! 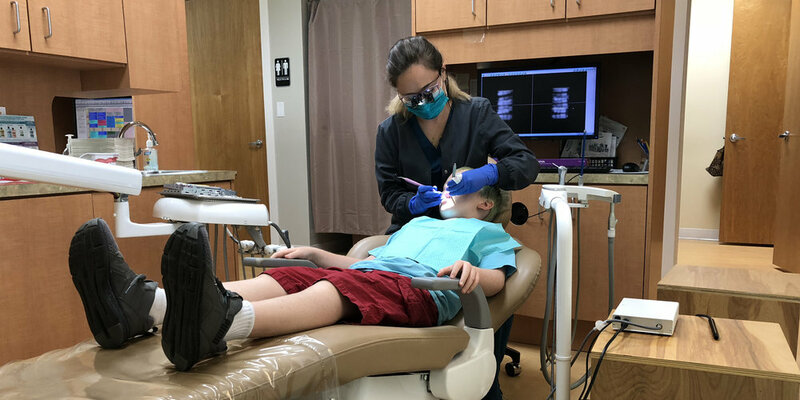 The dental office of Hunter Family Dentistry is conveniently located close to Newberry, Jonesville, and Gainesville, Florida. We’re available to serve the dental needs of your whole family! Contact us anytime by email or by phone at 352-872-5930. Visit our environmentally friendly Gainesville dental office today! Whether you are looking for a simple cleaning or you have a toothache that just won’t go away, we can take care of all your dental needs in our Gainesville area office. Word spreads when people find a Gainesville dentist who combines respect and compassion for patients and the environment with superior dental skills and techniques.